To date, little evidence has existed to validate the effectiveness of pre-testing digital ads. In this white paper, we explore the impact of ad pre-testing digital campaigns, drawing on the findings of dozens of in-market case studies.. The result is irrefutable evidence of its merits. More importantly, this paper highlights to digital marketers what they can expect from their investment. The message is a simple one: pre-tested ads are more effective and efficient than those that are not tested. In this white paper, we explore the impact of ad pre-testing digital campaigns, drawing on the findings of dozens of in-market case studies. Working with a large consumer client, we analyzed results from 36 in-market Facebook campaigns. Our objective? To understand whether pre-tested Facebook campaigns achieved better in-market effectiveness measures than non-pre-tested campaigns. 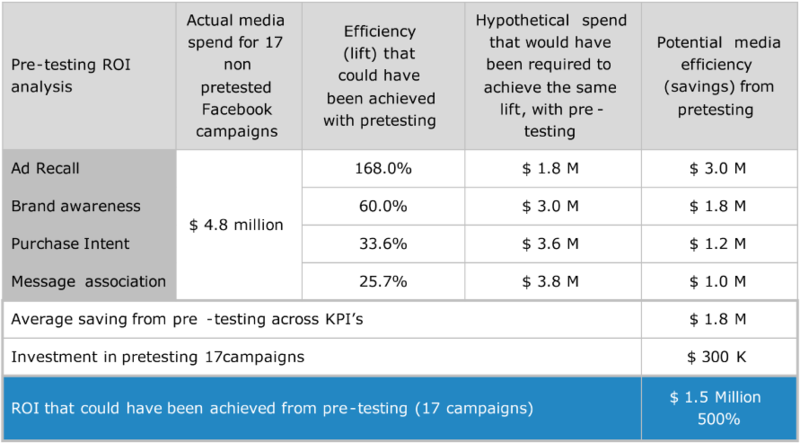 Are pre-tested campaigns more likely to see significant lifts in KPI’s versus control compared to non-pre-tested campaigns? Are KPIs higher for pre-tested versus non-pre-tested campaigns? Campaigns were split into two groups: those that were pre-tested and those that were not. Results were weighted to consider factors that influence in-market outcomes such as brand awareness, market share, and reach of the campaign. For example, brand awareness varied significantly across the campaigns. The higher the brand awareness the higher the likelihood of high Brand KPIs for exposed results. At one end of the spectrum was a market leader with brand awareness in excess of 99%. At the other end was a relatively unknown brand with an awareness score of just 16%. By weighting the campaigns, we created a level playing field to clearly show the impact of digital ad pre-testing. 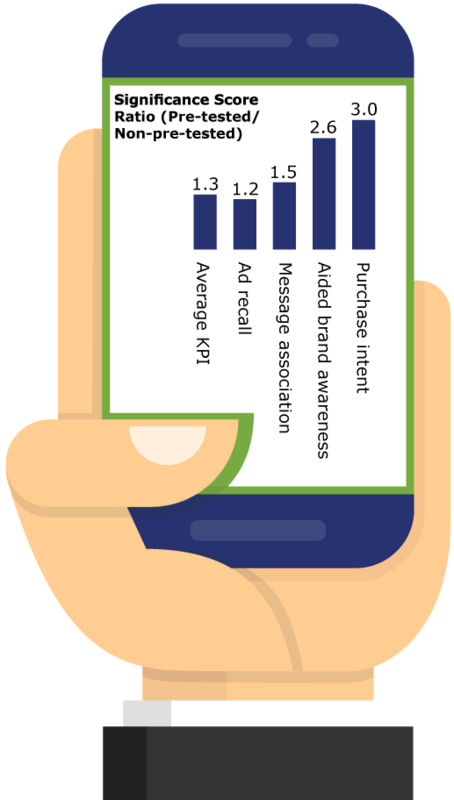 Results from our analysis show that ad pre-testing is three times as likely to generate a significant lift in purchase intent and about 2.6 times more likely to achieve a significant lift in brand awareness. For this study, we classified “significant” lift at 90%. 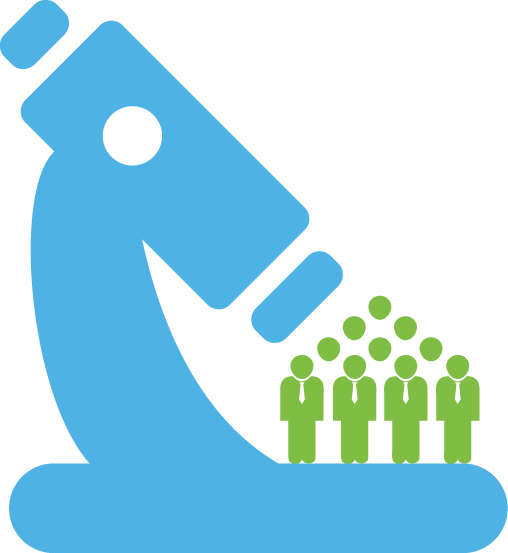 The average of the four KPIs for the pre-tested campaigns are 1.3 times as likely to generate a significant lift compared to non-pre-tested campaigns. are 3 times as likely to generate a significant lift in purchase intent. are more than 2.6 times as likely to create a significant lift in brand awareness. have a message association 1.5 times significantly higher than non-tested ads. are 1.2 times more likely to be recalled. This first analysis clearly establishes the rationale for pre-testing digital ads. The results demonstrate that ad pre-testing can lead to more effective use of media spend than experimenting in-market because it’s a more efficient use of media dollars. In the second part of our analysis we measured the magnitude to understand exactly what the impact of pre-testing is on KPIs. When we compare the results between pre-tested campaigns and non-pre-tested campaigns across core KPIs (ad recall, aided brand awareness, purchase intent and message association) we see a large increase in incremental lift for pre-tested ads. 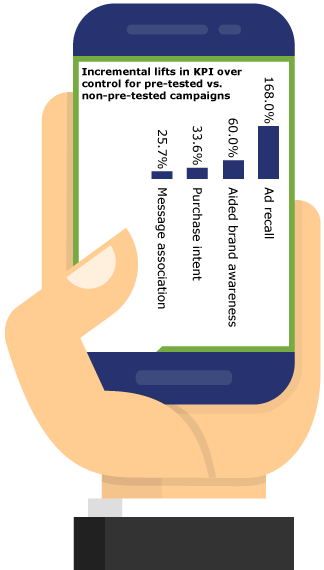 According to our research, ad recall is the KPI that is most affected: the incremental lift for ad recall is 168% for pre-tested campaigns over non-pretested campaigns. Followed by aided brand awareness that has an incremental lift of 60% for pre-tested campaigns. Finally purchase intent and message association score an incremental lift of 34% and 26% of pretested campaigns. Taken together, these figures make a very strong case for the merits of pre-testing digital advertising, and demonstrate that marketers can expect to receive stronger performance by taking a more strategic copy testing approach to their digital campaigns. In order to understand the potential ROI from pre-testing, we analysed 17 non-pre-tested Facebook campaigns that had a collective spend of $4.8M. level of impact (assuming optimizations made to creative based on MetrixLab recommendations and performance similar to the set of pre-tested campaigns used within this analysis). At MetrixLab, we know that we can expect more from digital ads. 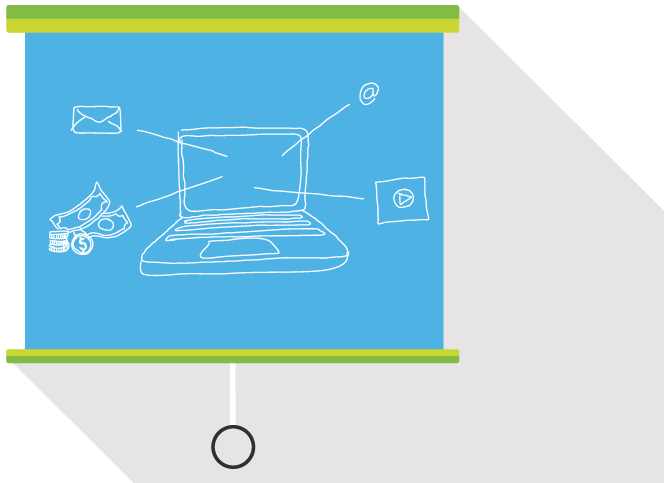 Pre-testing offers a robust way to ensure that your digital ads are on target and on message. More importantly it is a way of guaranteeing that they are primed to deliver the right results. The key is to understand which ads resonate with consumers and drive the desired behaviors. Regardless of whether your objective is to increase brand awareness, message association, purchase intent, or all, this study demonstrates the correlation between pre-testing investment and the success of subsequent digital campaigns. We have shown that pre-testing achieves significant ROI across all KPIs. 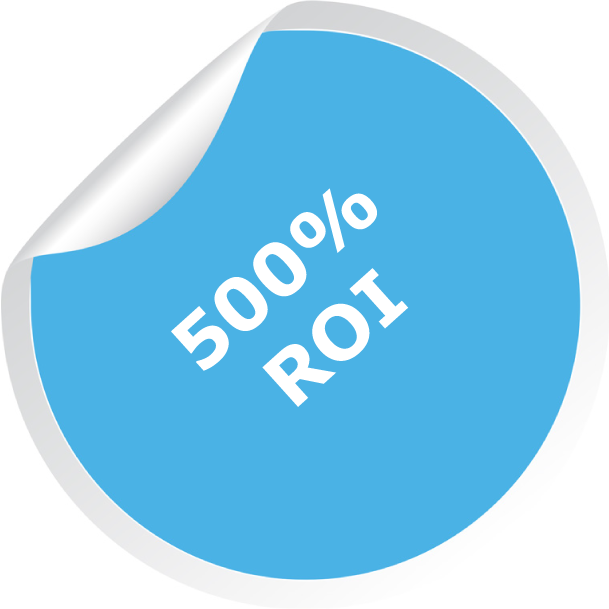 Our 17-campaign example would have shown a 500% ROI on pre-testing. It is time to rethink expectations for digital advertising. Marketers need to create campaigns that achieve game-changing leaps forward. Such campaigns will have a long and lasting impact on both brands and their consumers. This study provides conclusive proof that pre-testing digital ads delivers a strong ROI across a wide range of campaigns. It is a clear and proven way to maximize the effectiveness of your digital advertising strategy. To understand more about pre-testing, visit www.metrixlab.com or contact us. 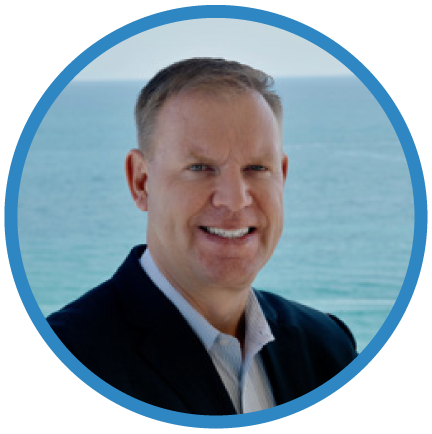 MetrixLab provides consumer insights that drive smarter business decisions. As a truly digital global research agency, we pioneer new technologies and integrate multiple data sources to push the boundaries of research. This enables our experts to provide high-quality insights at scale, at speed and for an unparalleled value. In just one decade, we’ve grown rapidly and now work with more than half of the world’s top 100 brands. Our expertise, passion and solutions enable our clients to succeed at product innovation, brand engagement and customer value in over 90 countries. MetrixLab is part of the Macromill Group.